^ Puig, a Spanish fashion empire that started with a lipstick. Modaes. [2012-04-26]. ^ Antonio Banderas Film Reference biography. Filmreference.com. [17 February 2010]. ^ Salon Column | Ron "The Artist" Shelton. Salon.com. [17 February 2010]. （原始内容存档于2010年3月28日）. ^ Rebecca Flint Marx, Rovi. 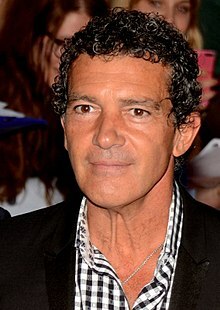 Antonio Banderas Biography. Star Pulse. [8 June 2011].